Mestre Gabriel preparing Vegetal in his brickyard (Porto Velho, Brazil) – Photo: Cícero Lopes. The União do Vegetal began in the Amazon Forest on Brazil’s border with Bolivia. José Gabriel da Costa worked as a rubber tapper in that region and, in 1959, drank the Hoasca Tea for the first time with a man named Chico Lourenço. Soon after, Mestre Gabriel began to distribute the Vegetal, initially to his family and other rubber tappers who worked in the region. On July 22, 1961, still in the rubber tapping areas of the Amazon, Mestre Gabriel held a session and announced the creation of the União do Vegetal, initiating the work of spiritual development of his disciples, to which he dedicated himself, until disincarnating in September of 1971. In January of 1965, Mestre Gabriel went with his family to Porto Velho, Brazil. There, with his wife Raimunda Ferreira da Costa and their children, he continued the religious work of the UDV. New disciples arrived and the Beneficent Association União do Vegetal was founded. Soon the formation of the internal structure of the União do Vegetal began. Mestre Gabriel created the Cadre of Mestres and the Body of Counsel. 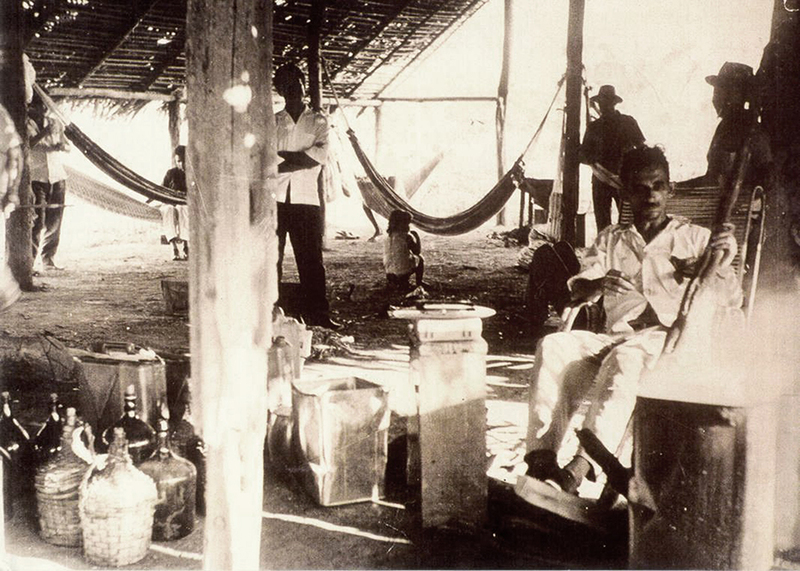 In 1967, Mestre Florêncio Siqueira de Carvalho, one of the first mestres trained in the UDV, was authorized to distribute the tea in Manaus, Brazil. “From Manaus, the União do Vegetal will circulate the world”, said Mestre Gabriel. This prediction is becoming a reality. From Manaus the UDV continued to expand in Brazil and to other countries. Later, in 1971, the Beneficent Spiritist Center União do Vegetal was officially registered, with its first General Headquarters (Sede Geral) in Porto Velho. In 1982, the General Headquarters (Sede Geral) moved to Brasília, and the growing movement of the UDV continues.